Silymarin is the active component of the herbal plant known as milk Thistle. It has been used for centuries for various diseases to include liver disorders, gastrointestinal disorders, digestion, and has also been indicated in various illnesses of different organs such as prostate, lungs, CNS, kidneys, pancreas, and skin1. Silymarin can suppress inflammation of cells in the body similar to ways that exercise can help coordinate the response of stressors. The results of the anti-inflammatory pathways that silymarin can signal leads to cellular repair and maintenance2. Silymarin has been used to treat a range of disorders and is considered safe and well-tolerated. The most common use of silymarin is for the liver. If the liver if functioning poorly, so is almost everything else in the body. Hepatitis is inflammation of the liver. It can be temporary and resolve on its own or can become long term and progress to a disorder more severe or even cancer. Symptoms of hepatitis also range from nothing at all to discoloration of the skin, diarrhea, abdominal pain, and more. The results of clinical trial published in a study indicates that 82% of the patients with acute hepatitis who received 140mg of silymarin three times a day for at least 3 weeks showed improved levels of AST (SGOT) liver blood test. The bilirubin blood test also improved in 40% of these patients3. The conclusion of these trials indicated that therapy with silymarin reduces complications, reduces the duration of hospital stay and promotes recovery3. In more advanced cases of liver inflammation where studies were done on patients who had a positive biopsy for cirrhosis, patients who took silymarin had improved survival rate after 4 years4. In another study, patients with alcohol related liver disease were treated with silymarin at a dosage of 420 mg per day for 4 weeks. At the end of the study, the liver blood test AST went down by 30.1% and ALT dropped by 40.8%5. In the same study, the liver enzymes increased when patients that did not take the silymarin. The anti-oxidant anti-inflammatory properties of Silymarin have been widely studied. Use of silymarin can be beneficial to detoxify the liver, improve fatty liver caused by alcohol use, protect the liver from viruses and use of drugs or medications. 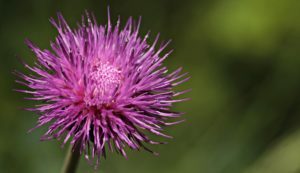 Milk thistle and its antioxidant properties from silymarin, has been a promising herb to show benefits on the cardiovascular system and reducing inflammation. Researchers have shown that a milk thistle extract can prevent cholesterol oxidation by over 85 percent7. Be sure to keep in mind that, along with taking beneficial antioxidants and vitamins, a healthy diet and exercise are all a part of preventing cardiovascular disease and other metabolic disorders. Another published study done by the Univerisity of Colorado Cancer Center focused more on prostate cancer growth and metastasis. Researchers found that the compounds derived from milk can restrict the tumors’ ability to grow new blood vessels they need for survival10. Without the ability to grow new blood vessels, a tumor cannot grow. If you think you or someone you know would benefit from using silymarin, then there is a very high probability that there is more to look at. Taking silymarin along with some medications that are broken down by the liver can increase the effects and side effects of some medications. It is important to seek guidance by an experienced nutritionist to get tested properly. A comprehensive blood analysis and hair tissue test can be analyzed to determine the exact needs of your body. It is important to note that dietary recommendations and supplement guidelines based on testing results will vary from person to person. The research mentioned above is to give you an idea what the benefits are of just taking one supplement. Imagine if you were to discover all deficiencies and/or toxicities that you have and were able to determine what other vitamins and minerals you needed. The road towards optimal health is right in front of you. Don’t wait, get started today! Gazak R, Walterova D, Kren V. Silybin and silymarin – New and emerging applications in medicine. Curr Med Chem. 2007;14:315–338. Post-White, J. et al. “Advances in the use of milk thistle (Silybum marianum).” Integr Cancer Ther. 2007 Jun;6(2):104-9. Bien, Monica. “Milk Thistle and Breast Cancer: What You Should Know.” Healthline, Healthline Media, 14 Jan. 2016, www.healthline.com/health/milk-thistle-and-breast- cancer#2.